The software lets you connect calls between the two systems. It connects both incoming and outgoing calls to the Skype network. 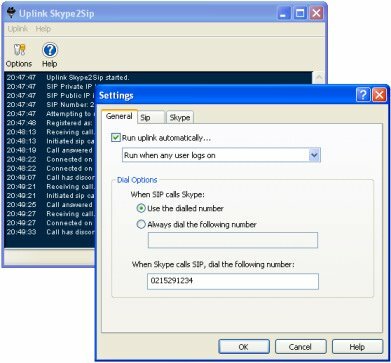 Can be used to make SkypeOut calls from a SIP device or PBX or receive SkypeIn calls and direct them to your SIP extension. In my tests the software performed in general well with a few crashes (related to playback/recording devices) reported by Skype.